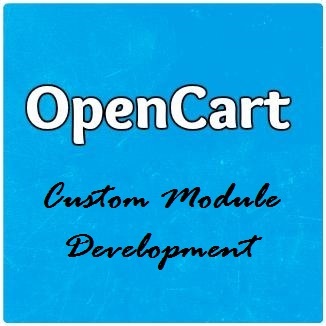 This tutorial is the second part of my previous tutorial : How to make custom module in opencart 2.x. In previous tutorial we learned how to make the custom module changes for the admin section, in this tutorial we'll see the changes required for the front end side. Below is the complete controller file. The below line will load the language file of our custom module "Popular Products" so that we can access the language variables defined in the language file. Now we are fetching the language variables and setting them in the $data variable so that they can be accessed in the view template files. Above lines will load the front end side product model so that we can use all the methods of it. The second one is used to fetch the product image. this is used to set the default limit of the product display. The below query is the heart of this module. Now we are getting the information of all the products fetched from the above query. and then after we are loop through the $results array and fetch the product image,price,special price, tax etc data and then we pass all these into product array so that they can be accessible in the view file. At last we are checking the existence of the template file and loading the template file for this custom module. As described, language file will contains the language variables which describes what will be displayed in view file. In language file constant name is used which never changes, only the values according to the language will be changed. If the current selected language is other than English then the variables will be loaded from that language’s folder file. View file refers to the template file having .tpl extension. It will display all the set variables of the controller.in view file we loop through the $products array and display the products. In this part of article, we completed the front end side of our opencart custom module Popular products. It’s easy to modify the OpenCart modules if you know the basic core concepts of MVC.